"Baseball" was the topic of the fourth "Theme Time Radio Hour". Bob Dylan has some say in what show will be aired on a certain date. a track from 1941 (as old as Dylan), featuring Les Brown & His Orchestra. is quoting parts of the lyrics after the song is simply priceless. 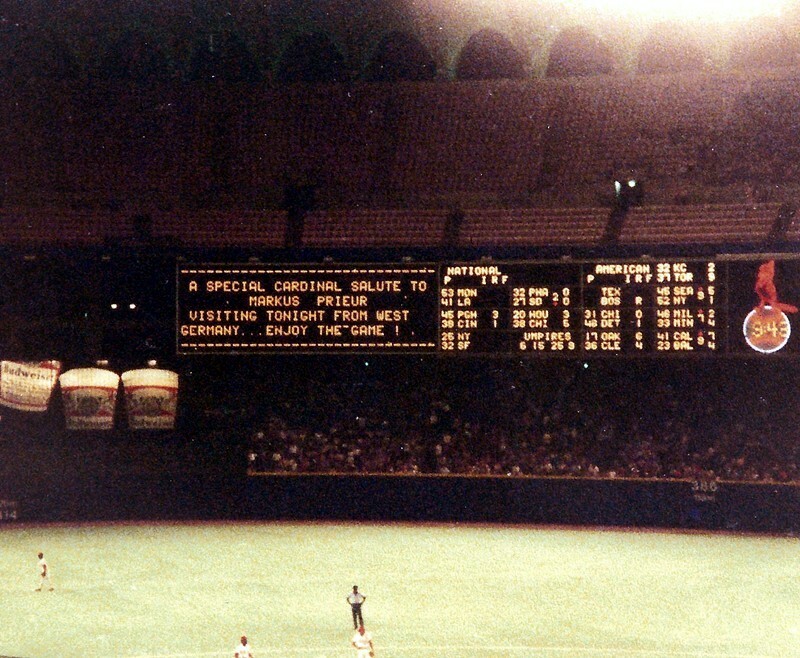 here is my little personal baseball story from July 1982. (where I also saw my first Dylan concert in Cincinnati in November 1981). led to another, and as you can see my name ended up on the score board.